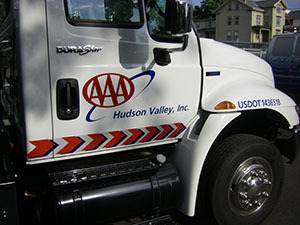 As a member of AAA Hudson Valley, you have access to a number of different roadside services, whenever you need them. Explore our options below to learn more! Members can call the National AAA Roadside Assistance Phone number for help throughout the U.S. and Canada. When calling 800-AAA-HELP (800-222-4357), your location may be obtained to route your call to the nearest AAA Roadside Assistance Center. You can also request service online or use the AAA Mobile App for iPhone and Android. AAA can send you text messages to get updates on when your truck will arrive. Standard text message rates will apply. With our GPS-enabled trucks, you can see the truck on its way to you with Service Tracker. If Service Tracker is available, AAA will text you a link to track your truck on your mobile phone, tablet or computer. The AAA Approved Auto Repair (AAR) program was created to address one of the most frequent consumer complaints in America - unsatisfactory automobile repairs. The AAR program does this by directing members and other consumers to AAA-approved repair facilities that meet and maintain high professional standards. Learn more about AAA Approved Shops and find a shop for you!